This is our third annual installment of Black Friday headlight deals. A lot has changed in headlight technology over the past year. Stock headlights are becoming better and better, and more vehicles are coming from the factory with xenon bulbs. Nevertheless, it isn’t hard to find a mid-level car with all the interior (and most of the exterior) upgrades a car enthusiast could ask for, but still get standard halogen headlights. In fact, the Toyota Corolla S, which sells for just under $20K, comes with xenon bulbs, while its older brother, the 4Runner Limited, comes stock with halogens. Thus the need for solid aftermarket headlight options. In your search for the best, most economical, but highest quality HID headlights, you’re likely to come across a handful of major brands. A simple search on Amazon.com brings up a few of the brands we’ve featured on our site (Kensun, Zentec, etc). Which brand gives you the best bang for your buck? We’ve tracked down the companies that have cut their prices the most and have two we recommend. For the second year in a row, the Kensun HID Kit takes our top spot! The folks at Kensun are outdoing themselves again, and have their kit listed for just under $50. Kensun offers kits of all sizes and colors. We took some time this year to familiarize ourselves even better with their kit (check out our post on the different headlight colors they offer), and we continue to be impressed. From their high levels of customer service to the variety of product they offer, we can’t say enough good things about the folks over at Kensun. We can’t go a month without hearing a positive story about how one of our readers had a positive experience with the folks at Kensun. Not that you’d ever have an issue with any of their products, but if you did, they’d take care of it right away! Sylvania’s halogen bulbs are some of our favorites. Sylvania produces many of the bulbs that come stock in vehicles (my previous car, a 2008 Nissan Pathfinder came stock with Sylvania Standard bulbs). So, suffice it to say they know what they’re doing when it comes to designing and manufacturing headlight bulbs. For that reason I trust their aftermarket bulbs completely. Granted, they’re not going to be the brightest headlights on the road, but these are the bulbs I currently have in my wife’s 4Runner. Why? It’s very simple. They’re bright and reliable. They’re not going to light up an entire field on a Friday night, but my wife isn’t looking to do that. She simply needs something that will illuminate the road ahead of her, but that won’t burn out and require tools to replace. I can afford to deal with such an inconvenience…she can’t. So at around $35, you can save $15 off Pep Boys prices and upgrade your vehicle’s eyes without risking leaving your wife, or yourself for that matter, stranded. Go check out these current sales on some of the best headlights you can buy. For you peeps looking to light up a field for a party, stick with the Kensun kit. 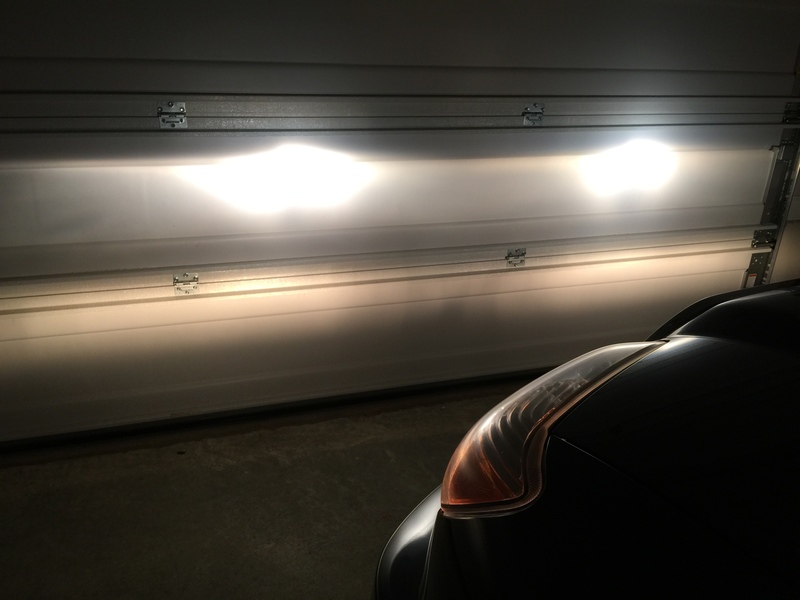 If you’re simply wanting to replace your stock beams with something a little brighter, without risking reliability, I’d spring for the Sylvania bulbs.